The land that today is called Israel began to emerge as an important piece of real estate in the late 1800s CE. At this time there were a few Jews living on this land—about 3% of the total population (Khalidi 6). They lived side-by-side with the Palestinians in peace, sharing meals and looking after each other’s children. 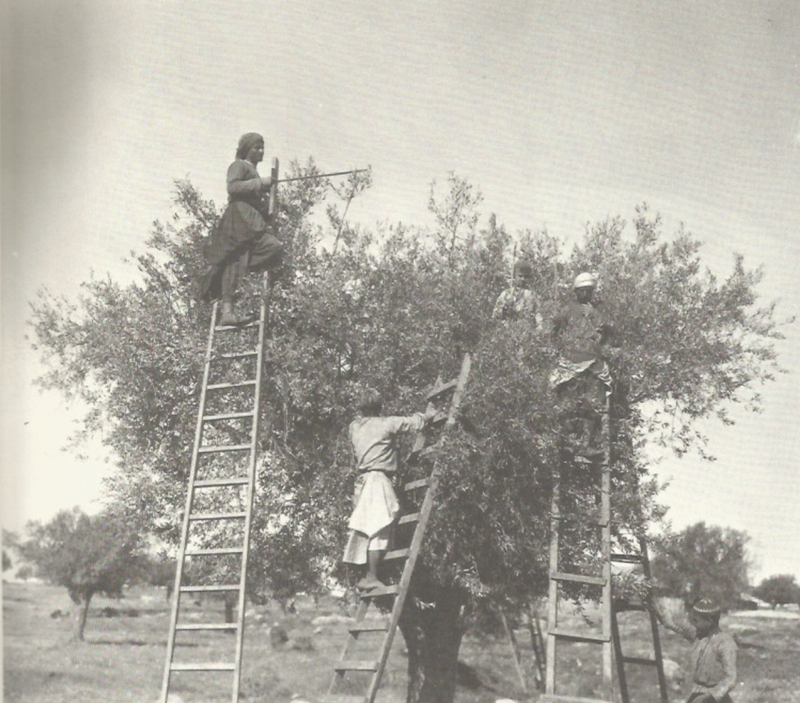 Noel’s Contact Theory would place the two ethnic groups of Palestine in a stage of non-stratification; this makes sense because there was enough land for everyone to farm, enough supply and demand of goods and services needed to keep everyone busy. Neither the Palestinian majority nor the Jewish minority (who also considered themselves Palestinians) exercised any power: it was a time of peace for the Jews in this region, but not in the rest of the world. The vast majority of the Jewish ethnic group had been scattered—in Diaspora—for centuries, and had experienced waves of persecution in nearly every place they lived. The persecution became so unbearable that, in the late 1800s, a group began to gather to discuss the possibility of creating a haven state. In 1897, this became the World Zionist Organization. They had their eye on the land of Palestine. But, in the words of Walid Khalidi of the Institute of Palestine Studies, “The dilemma facing the Zionist founding fathers was monumental. How does one establish a national home in a country that is already the national home of another politically conscious people, particularly at a time when the Zionist movement had no military power? The strategy actually adopted after 1897 was to search…for a powerful sponsor who would afford the Zionist venture the political and military protection it needed during its formative phase” (8). His Majesty’s government view with favor the establishment in Palestine of a national home for the Jewish people, and will use their best endeavors to facilitate the achievement of this object, it being clearly understood that nothing shall be done which may prejudice the civil and religious rights of existing non-Jewish communities in Palestine, or the rights and political status enjoyed by Jews in any other country” (Balfour). Clearly, the division was being drawn along ethnic lines, and the defining characteristic of every resident of the land that mattered was Jewishness or non-Jewishness. Five years after the Balfour Declaration, the League of Nations reiterated the pledge to help in the creation of a “national home for the Jewish people” within Palestine. This support from the League of Nations and Britain, plus financial backing from Jews worldwide channeled through the World Zionist Organization, created that power imbalance that, according to Noel, is one ingredient for ethnic stratification. Thus, although the Jewish population in Palestine was only 11% at the time the League of Nations declared its support, and 30% by 1940—with land ownership at only 7%--the Jews began to emerge as the dominant group (Khalidi 10). With this clear power imbalance, the once-peaceful coexistence of Palestinians and Jews quickly deteriorated: pockets of conflict erupted all over as Jews began asserting themselves and Palestinians fought to maintain property and rights. At times one group was the aggressor, at times the other (10). Noel’s “scarce common goal” was possession of the land, and the battle over it was just beginning. The United Nations, having replaced the League of Nations, offered in 1947 a Partition Plan for the land of Palestine and decreed that a Jewish state would be created within Palestine (10). Noel would consider this to be the part of his Contact Theory in which an attempt is made to regulate relations between the dominant group and the minority. About 43% of the land would go to the Palestinians, while 56% would go to the Jews—although they made up about 1/3 of the population (10). The Holocaust had been a horror, and the Jewish longing for a safe haven was reasonable. But to the Palestinians, the idea that the Jews had a greater need for Palestine than the Palestinians themselves was problematic. While they recognized the historic and spiritual connection the Jews had to the land, they did not accept the idea that the Palestinians’ own rights should be superseded and annulled (7). Consequently, the Palestinians rejected the UN Partition Plan and the option to solidify their position as subordinate.